First a bit about me: I’m a professor of English medieval literature, fascinated since the 1980s by all things to do with type and lettering—both because paleography is a significant part of what I do and because of my struggles, as a young scholar, to get my KayPro II + dot-matrix printer to produce the characters needed for medieval texts. Since then I’ve produced several fonts based on medieval scripts, and also a general-purpose font called Junicode (loosely based on the Fell pica), which is pretty widely used—more because it’s free and has lots of goodies for medievalists than because of its design. I am self-taught and frankly a bit scared right now. This is a variable font called “Elstob” after Elizabeth Elstob, a celebrated medieval scholar of the early 18th century. It takes as its starting point the Fell double pica used by the Oxford Press for dedications and the like in the decades around 1700. That face has its faults, but I think it has a kind of simplicity (for example, flat or flattish serifs, minimal or absent brackets) that make it a good model for a variable font. Elstob has three axes: weight, optical size, and grade. I have tried to keep the classic proportions and modernize the details, keeping the outlines as simple as possible to hold down file size. I hope to end up with a practical and readable typeface for websites having to do with medieval studies. I won’t go into my own specific design concerns, but will just say that the farther I get from my models (heavier weights, smaller optical sizes) the more anxious I feel. Also, as I don’t think of this font as a revival, I am very willing to depart from the original for the sake of design improvements. 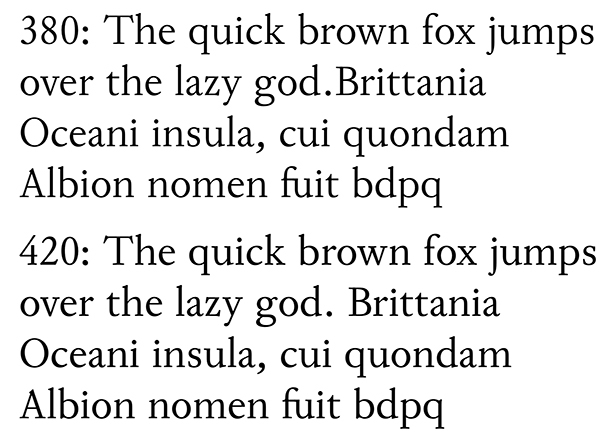 I have been working on the roman and italic more or less simultaneously, so my samples have both (sorry). I welcome any advice this community can give. What you've identified as "regular" seems pretty light to me. The source pics show capital stem weights as much heavier than lowercase stems. Even if you don't want to go as far as that I still think your cap stems should be wider. Similarly, you may have lowered the tittles a little too much. I'd ease up a bit on the lean of italic A and V.
Consider making the cap vertical serifs (on C/G/S, and maybe on the middle arms of E/F) more wedge-shaped instead of just line segments. b/d/p/q counters should capture about the same amount of white space. Did you consider having the optical size axis change contrast, and not just proportions and sidebearings? I think a higher contrast master would make this face work at a broader range of sizes. The space glyph may be too wide. The thorn, B, and R runes (which are essentially recycled latin glyphs) don’t really fit with the others. Compare your Futhark thorn with your Futhark W; I’d redesign these so they're more structurally similar to the W rune. Since then I’ve produced several fonts based on medieval scripts, and also a general-purpose font called Junicode (loosely based on the Fell pica), which is pretty widely used—more because it’s free and has lots of goodies for medievalists than because of its design. I think you may be selling yourself short here. Junicode isn't the only free font for mediaevalists out there, but it’s certainly one of the two most well-designed ones (the other being Andron Scriptor). I used to teach courses on the history of English and I used Junius (the predecessor of Junicode) for many of my handouts because I preferred it to all of the commercial fonts which I had looked at. For runes with serifs, Johannes Bureus’ alphabet that he produced for Runa ABC is a very relevant reference: http://www.kb.se/F1700/ABC.htm AFAIK it was the first attempt at something like this. Runes were still in use well into the 1900s in rural Sweden. Thank you, Craig, André, and Frode. Lots to think about here. I have been worrying about the weight of the capitals. I don't want to go all the way to the weight of my model—but I'll be experimenting with some compromises. I thought I could get away with the kind of thing they did with the Thorn and R runes, but I suppose not. It is jarring. Thanks for the Bureus link, Frode! 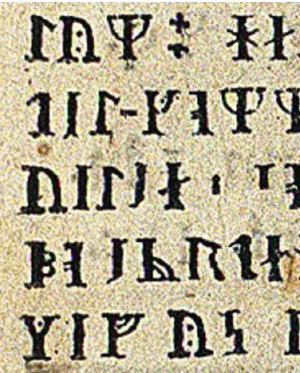 It seems likely that whoever was responsible for the Oxford runic font was looking at Bureus. 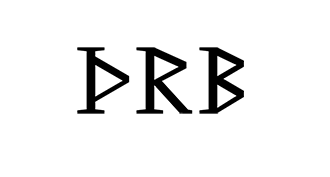 I think the runes with serifs, harmonizing with a font's other capitals, are very much in the spirit of runes written in medieval manuscripts (as opposed to being carved in wood or stone), e.g. in the Exeter Book (scroll down for images). Thanks for the kind words about Junicode, André. I'm glad a lot of people like it, but somehow I've never quite managed to love it myself. I am, however, a big fan of Andron. I certainly think this is a beautiful typeface. Better? Or have the caps gotten a little too thick now? Maybe a touch too thick. But most also look like they're really crowding the ensuing lowercase letters. Give a little more sidebearing to them before making the final call on weight. I also like to set a paragraph in all caps and another in lowercase to compare overall color. I increased the spacing of the caps, but they still look heavy to me, and I get the same result from the experiment you mention with the para in caps. So I'm going to back up and try again, and will post when I have something I like. Your sample text is in German. Monotype actually made a special version of Times Roman with lighter caps for German because that language capitalizes more words. Interesting! Did the font have both sets of caps, or just the lighter set? I chose German for the sample because of all the caps. There's a PDF with the longer passage and blocks set in caps and lc here. I can see some light spots (E) and dark spots (Z) in the caps, but overall (to my eye, anyway) it seems a fairly good match for the lc. Just the lighter set. Normally, when one thinks of Monotype Times Roman, one is thinking of Times Roman 327. But several other variants were made. 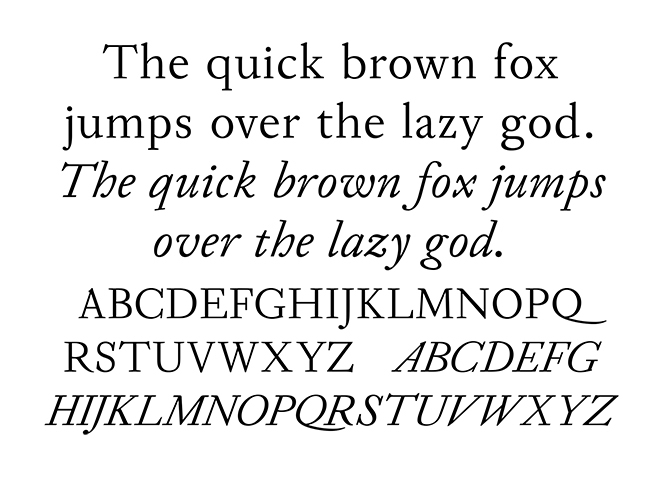 One prominent example is Times Roman 569; this was developed specifically for use with Monotype's 4-line mathematics system, and its primary difference was that the italics were sloped at a more gentle angle. The version for German was Times Roman 727; there was also a version for French, Times Roman 827, which modified the shapes of a few letters to make them similar to forms popularized by the Romain du Roi. Also, Times Roman 627 is a version with long descenders, and Times Wide 427 is a version which is not condensed in the way regular Times Roman is, these versions both intended to be more suitable to printing books. I guess it makes a lot of sense (and is affordable) when you have such a widely used product. It must be an immense money machine. I'm not sure I like the R and B yet. Suggestions/reactions/vilifications solicited. I'm sure it was an immense money machine, from 1935 on up to when it was licensed to Microsoft. I'm not so sure that it still is, at least to the same extent.